RG Herald: Miss Texas Visits Grulla Elem. 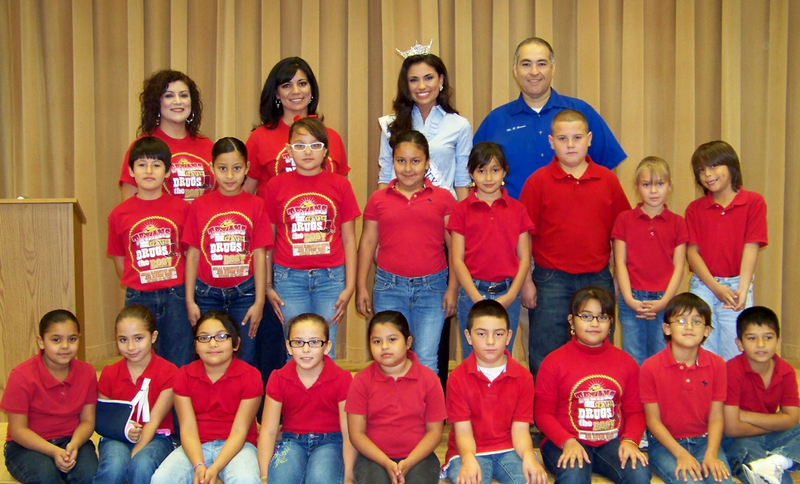 Miss Texas Visits Grulla Elem. Grulla Elementary students and staff had the privilege of listening to Miss Texas 2010, Ashely Melnick, as she spoke about decision making and accepting others and their differences. Miss Texas inspired us by sharing her own personal experiences and singing two beautiful melodies. Pictured are Mrs. Leonor Rodriguez-Counselor, Mrs. Rachel Hernandez-Counselor, Miss Texas, Mr. Bermea and his third grade class.